Stories in black and white. Leading up to Pride Parades in Toronto and San Francisco, agency Entrinsic and Pride Toronto launched a series of films directed by Jeff Feuerzeig of ‘The Devil and Daniel Johnston’ fame that highlights members of Toronto’s LGBT community. 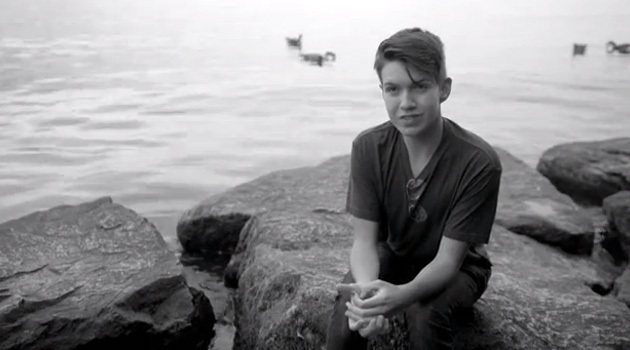 Shot in beautiful black and white, the films focus on a variety of people, from an elderly couple, to a pre-op transgendered person, to a 17-year-old who just came out. Here you can see the highlights from each film, and you can watch them in their entirety on YouTube. Google partnered with Pride Toronto, so the series will also be housed on a special Google community page.